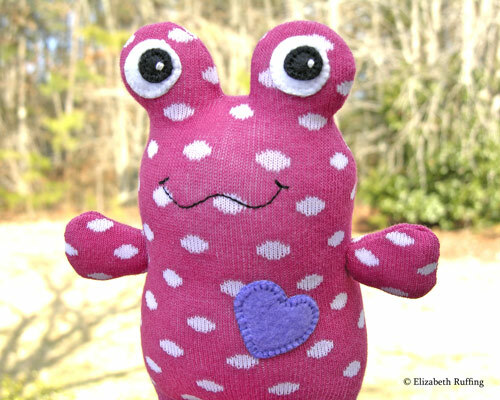 This is Mary the Hug Me Toad. Mary had to wait a little while before taking the trip to her new home, due to the ice storm we had the other day. This morning, the roads were clear, and Mary happily hopped into her box and left for Kentucky. Mary had a couple of new friends to play with in my workroom, while we waited for the ice to melt. 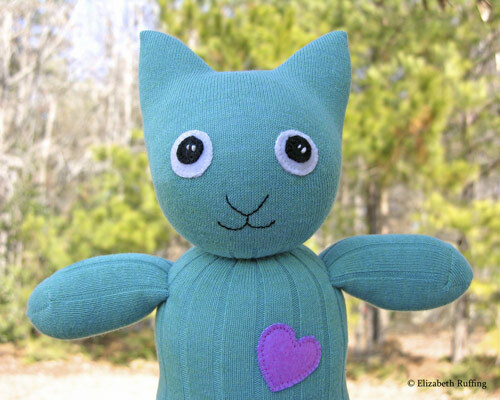 This turquoise Hug Me Sock Kitten is over in my Etsy shop. 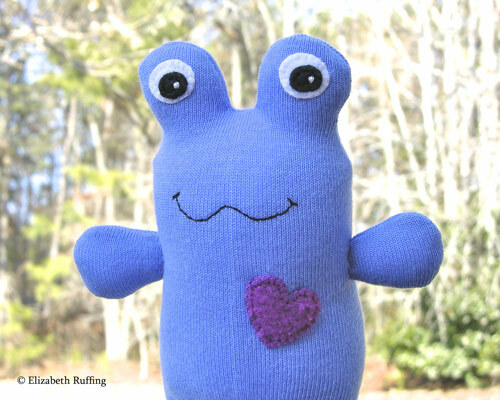 She has an orchid fleece heart. I love her sweet face. I had quite a time trying to photograph her and the rest of the sock animals this morning. The wind was blowing and it was so cold outside. Icicles were dripping on us, and on my camera. I even had to blow dry a Hug Me Toad, when she got a drop of icicle water on her head! I think we were all glad to get back inside. 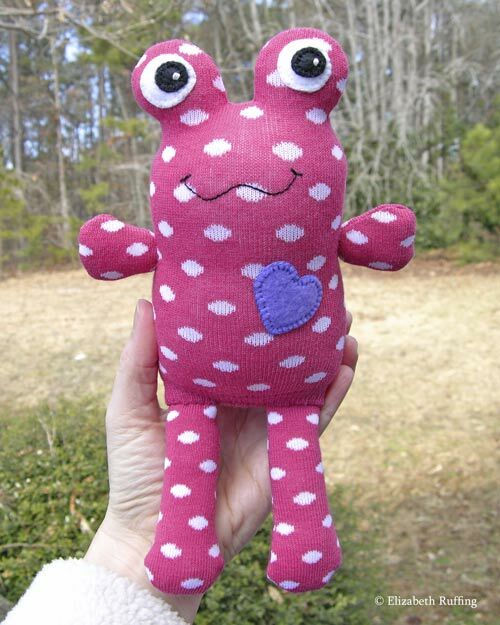 This dark pink Hug Me Toad with white polka dots is in my Etsy shop too. 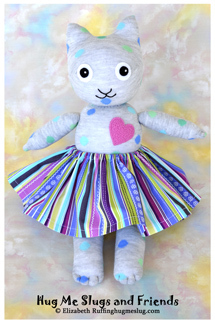 She is one of triplets I made earlier. Her sisters have already been adopted. 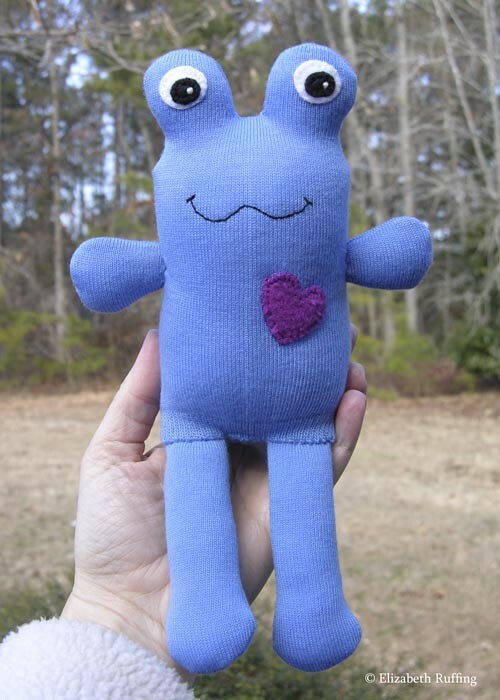 I actually have lots and lots of socks waiting to grow up to be Hug Me Toys, but I just happened to like this pattern and made three in a row. 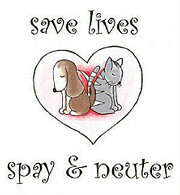 I tend to be that way. 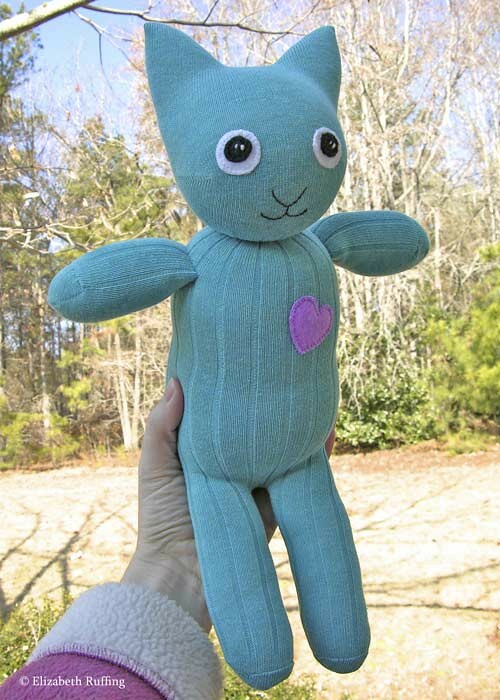 I will be sure to add some new sock animals in different colors and patterns to my menagerie soon. I’ve also had these two decorative Hug Me Slug accent pillows for a while. I finally put them in my shop too. 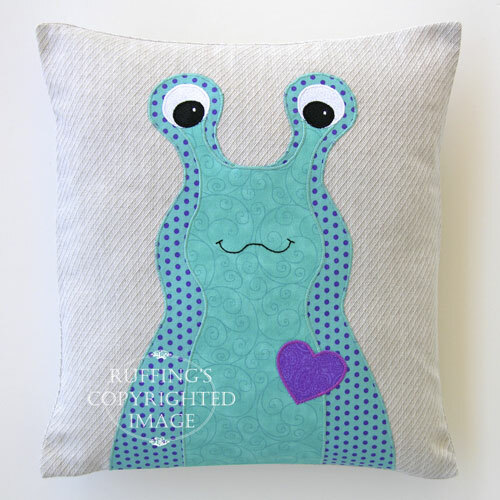 You can find this turquoise and purple polka-dotted Hug Me Slug pillow here. 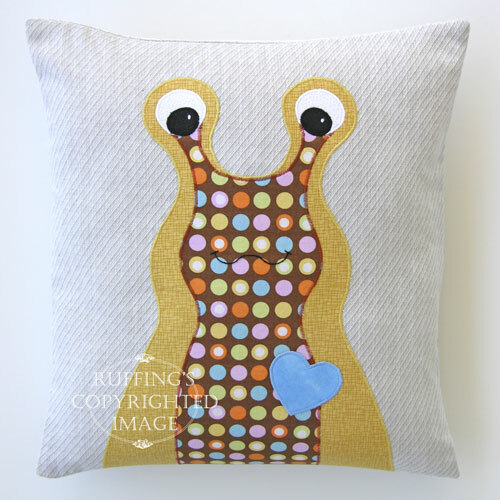 And this gold and brown polka-dotted Hug Me Slug pillow is here. 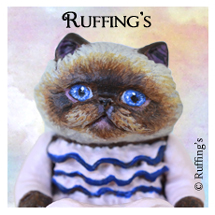 I’m still working on organizing our collective Ruffing’s Etsy shop as well. Once my fine art prints are moved there, I will have to make a new banner for my toy shop, with friendly creatures peeking out.